Simplify your online communication with one login to secure email communication, organize conversations, and fine-tune archive searches. We respect your privacy. Unlike our competitors, we do not examinate your messages for advertising purposes or sell your information to third-party companies. 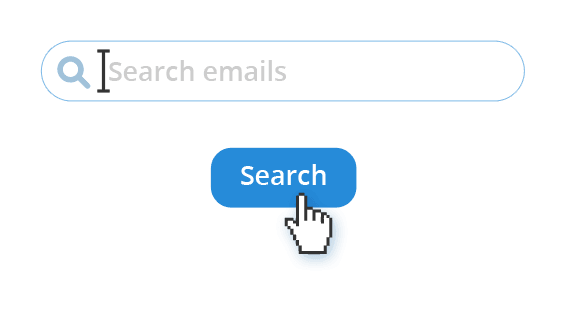 Don’t Waste Time Searching for Old Emails. Get results from multiple search engines and quickly find archived messages with your personalized search box. Easily organize your messages by customizing your folders. 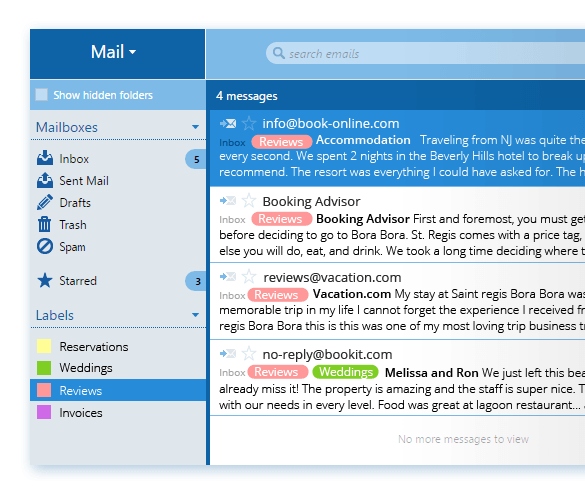 Move emails manually or establish customized rules to sort incoming messages. I have many email accounts; after many years of using them all for different purposes, I have found inbox.com to be the most consistent, not changing formats on me. In the 9 years I've had their FREE service, not a single problem. Never had a problem with it. It is not the run of the mill email provider. With Inbox cloud storage there is no need to delete your emails to save space. Save all of your emails, photos, and other files in Inbox online storage. Create notes, get organized, and don’t waste energy jiggling multiple services. All messages are automatically scanned for spam and viruses! Challenge/Response Smap Protection effectively prevents your mailbox from overflowing with spam. Compose and read your messages even you’re not online. Simply download your emails onto your computer, access them with a mail client, and log on once you’re ready to send. View full conversations by grouping received messages with their replies and displaying them as a conversation with a single click. Copyright © 2017 inbox.com. All rights reserved.